Both Aviko Rixona Venray as Aviko Rixona Warffum are Type B devices. Conform the law type B, they are covered by the Activities Decree. Where customization is necessary in specific subareas, Aviko Rixona will always contact the correct authority for tailor made solutions and regulations. The processing of potatoes is very energy consuming. For our environment Aviko Rixona intends to annually reduce the average energy consumption by 2% and 2% of reducing CO2 emissions. The Energy Efficiency Plan provides insights for potential energy saving opportunities. Through the implementation of energy saving projects we hope to have a payback of less than five model years. Aviko Rixona is planning to increase its production capacity, which is deployed on systems that greatly reduce energy consumption per ton of finished product. Aviko Rixona uses tap water for use in the laboratory and for domestic use. Aviko Rixona Venray withdraws groundwater that's been processed and then used in the production process. After this water is used in the production process it is being cleaned in our own aerobic water purification system. Then a large part of this clean water will be re-used again in the production process. The Aviko Rixona Warffum plant uses regular drinking water. A small part of this water is used for domestic use, the rest is needed for the production process. The water that is used in the production process is being re-used up to five times before it is being transported to be cleaned in our own aerobic water purification system. After the purification it is clean enough to be discharged into the sewer. Aviko Rixona owns its own water purification system, aeroob as well as anaeroob. In this purification process the water used in the production process is being cleaned and partly re-used. In order to continue this process the refreshed and cleaned water is partially discharged into the sewer, within the terms of the permit. Because of the plans of Aviko Rixona to expanding the production capacity, we will also include the expansion of the water purification system in our plans. In the next few years a larger anaerobe water purification system will be build. Bio-gas that's being produced in the production process will be used as a fuel. Aviko Rixona Venray is unique in this area. They have a permit to discharge the purified water into local ecologically sensitive water, which is a creek nearby. Aviko Rixona Warffum discharges it's water after purification into the municipal sewer. 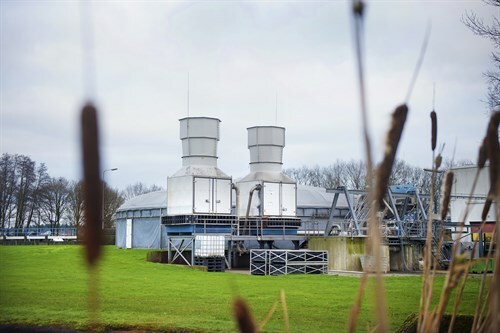 The water used for domestic purpose in plant Venray as well as Warffum is also being discharged in to the municipal sewer. Aviko Rixona always strives to limit the emission of product dust, smell, noise, Co2 and NOx in the atmosphere. Aviko Rixona follows the processes very accurately, so they stay within the compliance of the regulations and requirements. Aviko Rixona processes potatoes into potato flakes and granules for the B2B, foodservice and retail market. In the production process of these potatoes they aim to keep the production processes closed from all hazards from outside. All organic material as sand, dust, rocks, peel, root and starch are being stored and processed separated from the production process to avoid contamination of the product. Aviko Rixona thrives to separate all materials used in the production processes as effectively as possible. All materials that can be re-use after the production and packaging process are being separated and deported for reprocessing. To verify that Aviko Rixona is in control off all production processes they are monitored regularly by internal and external audits carried out by customers, certification agencies and government. Would you like to know more about Rixona's environment policies? Please contact us. Aviko Rixona uses tap water for use in the laboratory and for domestic use. We withdraw groundwater that's been processed and then used in the production process. After this water is used in the production process it is being cleaned in our own aerobic water purification system. Then a large part of this clean water will be re-used again in the production process.